Microsoft bosses are pulling the plug on Windows Live Messenger after 13 years in the business. MSN as it was initially labelled back in the day, saw over 330 million users chatting to friends and family on the platform, with the addition of photo uploads, video interaction and games developed over this time. The tool became an instant (excuse the pun) hit for business and personal usage, with a large number of high-school children leading the uptake. The decision to turn off the trusty site comes just 18 months after the announcement that £8.5 billion was to be spent developing the communications software for the product. There has been speculation as to why Microsoft has taken this bold move, but the main reason is numbers and focus. Comscore analysed the data captured to reveal that Windows Messenger Live still holds twice the amount of unique users as Skype’s instant messenger facility, and ranks second behind the most popular which is Yahoo Messenger. So why the sudden decision to drop such a well-used and well-loved platform? Decline. The report suggested that the user audience stands at just 8.3 million, representing a huge drop of 48% year-on-year, where as Skype users grew within the year. Looking at the numbers above, you may think that Microsoft are shooting themselves in the foot if they choose to get rid of the messenger tool altogether? Their answer…Skype. 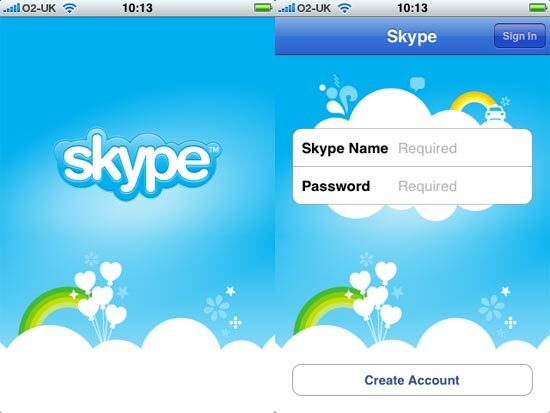 Skype is a similar platform Microsoft developed and launched more recently in 2003. A tool most commonly known in the travelling industry for catching up with friends and family back home for free, is growing daily, and is predicted to overtake the number of users MSN once held. Some people may think that Microsoft set themselves up for this sort of number fall when taking on two, quite similar products – ultimately resulting in brand cannibalisation. Competing products from the same company can be seen as a healthy bit of competition, but when the end goal is trying to make money for the same business, it can go a bit awry. Either way you may look at it, it can only hold hope for Microsoft. Skype is a better and more solid platform to continue development for their other tools such as TV channelling and the X-Box, creating and allowing more versatility than MSN once held. The factor of losing out to competing business from other brands is a risk worth taking, but with the security of Facebook coming on board with Skype, creates the illusion that Microsoft may just take the top spot in the instant messenging stakes once again in the not too distant future. Windows Live Messenger is set to ‘retire’ in March 2013 (with the exception of China), with the chance to move contacts over to Skype. With Facebooks ever evolving face, and customer-facing changes like the timeline coming inot play recently, it was only a matter of time before the planning aspect of changes came into play. We’ve all been hit by the changes to pages and fan pages, but now it seems Facebook has come up with an ingenious idea to actual help us! Scheduling statuses! 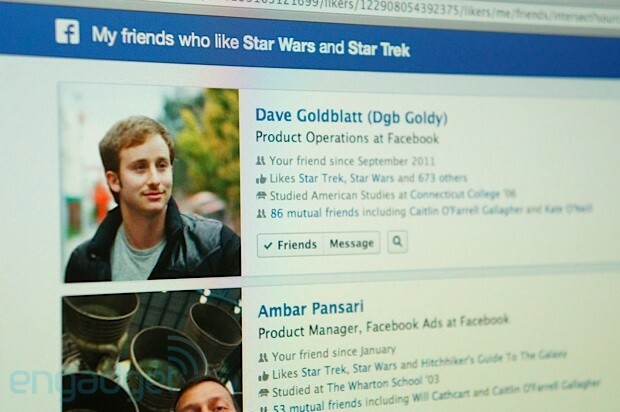 Facebook is rolling out this new concept of planning statuses up to 6 months in advance. Gone are the days where you struggle to find someone in the office brave enough to roll out a daily message from the company, or desperately seeking free WiFi whilst on holiday if you’re a single business owner. You simply prepare your posts and schedule it to appear on your time line at a later stage. You select a date and even down to the time of when you want the post to go live, and hey presto, there it is! Social media has become a driving force in pushing information and products to consumers you wouldn’t have been able to previously reach. The use of social media can allow you to interact with those consumers to far greater levels and vice versa, with your users pushing your products to their network and effectively providing you with endorsed advertising. Facebook is the largest social network currently online, with 901 million active users as of the end of March this year, 80% of whom are located outside the US and Canada, and is a great resource for retailers. Finding a way to incorporate Facebook into your company’s social networking can only mean good things for your business. SKUmatic offer an integrated product catalogue specially designed for use on Facebook. It allows the automated building of store listings and product catalogues that will allow Facebook users to browse your products and find local store information via your Facebook page or click through to your company site. SKUmatic can also help provide marketers with local dealer information, advertising and promotional campaigns, Quick Response codes and more, so that you can keep track, create marketing promotions, and help grow your business through Facebook. The product catalogue can be installed to Facebook with just one, single click, and is a self-contained application that allows visitors to browse products, ask for advice from friends, find local stores that stock their chosen item and view any promotions you may be running. 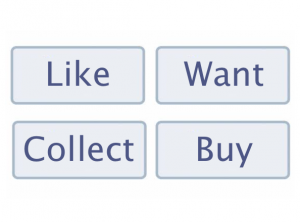 The application will also track click-throughs so you can measure the effectiveness of your Facebook campaign, the Friends Advice and Shop Now buttons. In addition, every QR code generated can be monitored by the reporting module to track use by customers. You can create and apply your own coupon codes inside the application, targeting Facebook visitors and helping to increase sales conversions. The control panel allows you to define start/end dates and customise the look of the coupon. SKUmatic also generates a Quick Response code for every product entered in to the catalogue, along with a unique mobile friendly URL to help drive customer interaction with products and promotions. You can also customise messages, embed images or video demonstrations to make the most of your QR codes and how they can help increase your business. The colour scheme of the application is fully customisable, so you can design the page to mimic the colours of your company page or logo by customising menu headers, backgrounds, text and links, and reducing the need to pay for additional design. Your product catalogue can be managed by brand name, customise category names and even assign brands and products to individual retailers if your catalogue isn’t fully stocked in every store. With the ability to upload function for products and category listing rules in bulk you can save time and effort while adding thousands of products in one go. You can also create information on individual retailers including store locations, contact information and items stocked. Fully flexible, you can upload banners, logos and images unique to each store. The Where To Buy page incorporates some of this information, along with providing a search engine for nearby retailers if users input their postcode. By fully integrating a product catalogue, store location details, assign unique products to individual retailers, and provide customers with a means of interacting with your products and other users, SKUmatic have created an easy to use system that can help increase your sales and customer base through the use of social media.